Official visitors guide to Lake Nacimiento boat rentals, jet skis, water sports, and watercraft tour company on this 18 mile long lake on the Nacimiento River in northern San Luis Obispo County, California. The lake contains many popular canyon arms including Snake Creek and Dip Creek, nearer the dam, and the central Las Tablas and Franklin Creeks. This lake is dragon-like in shape created by the positions of these arms; so it is sometimes referred to as Dragon Lake. Lake Nacimiento is an excellent fishery, but eating the lake's fish should be done with extreme caution due to high mercury levels. The lake is unique among California reservoirs in that it contains, among other species, introduced white bass, which thrive in the lake and spawn in the river and inflowing creeks in Spring. Lake Nacimiento is also a haven for water sport outdoor adventurers and provides at lot of space for waterskiing, flyboard, wakeboarding, wakesurfing, paddle boarding, camping, tubing, jet skiing, and other water-related activities. Nacimiento Dam, a 210-foot earthfill dam, forms the lake. The lake is near the town of Paso Robles a great vacation destination for visitors and locals. Except for the resort area near the dam, most of the property around the lake is private. Overnight camping on the lake, outside of the resort and marina, is not allowed. Also, you are considered trespassing if you set up or venture on land above the high water mark. 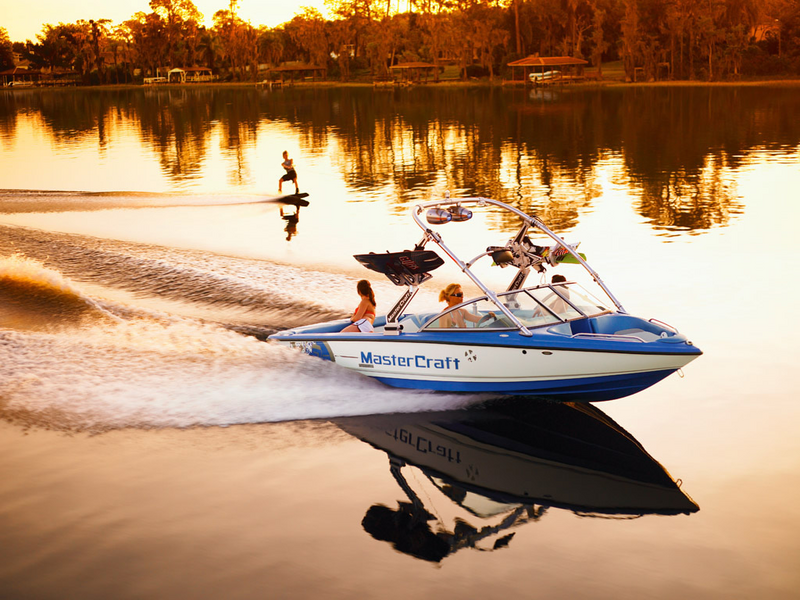 Our premier watercraft services do require advance reservations at least two days before you arrive.